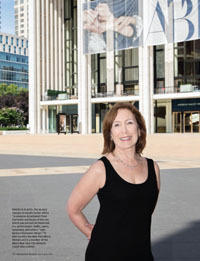 The 16-acre campus of Lincoln Center offers “a complete detachment from the hustle and bustle of the city, where you can just be immersed in a performance—ballet, opera, symphony, and others,” says Barbara Grossman Berger ’77, who cochairs the New York Metro Women and is a member of the Metro New York City Network Leadership Cabinet. (Shannon Taggart for Rochester Review). “Part of what gives you that insider’s view of New York,” says fourth-generation New Yorker Noah Pizmony-Levy Drezner ’00, “is that you can actually step back to see it from afar and appreciate where we are.” (Shannon Taggart for Rochester Review). 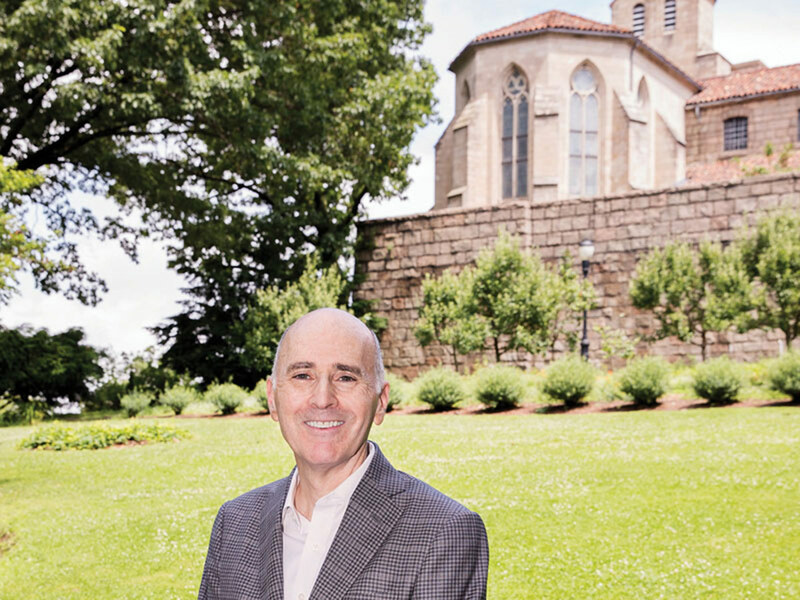 Overlooking the Hudson River, the Cloisters—an outpost of the Metropolitan Museum of Art that specializes in medieval European art— has a setting that can “take your breath away,” says Stephen Givant ’81. (Shannon Taggart for Rochester Review). New York is a city for people who love books, says Tanya Chanphanitpornkit ’15E. (Shannon Taggart for Rochester Review). 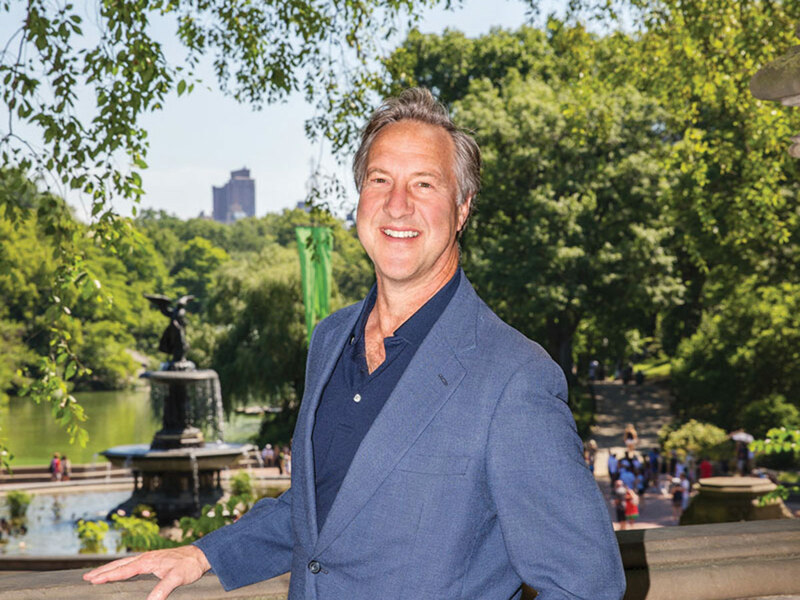 The City offers endless opportunities to people watch at gathering spaces and parks, says Tony Graham ’81. (Shannon Taggart for Rochester Review). 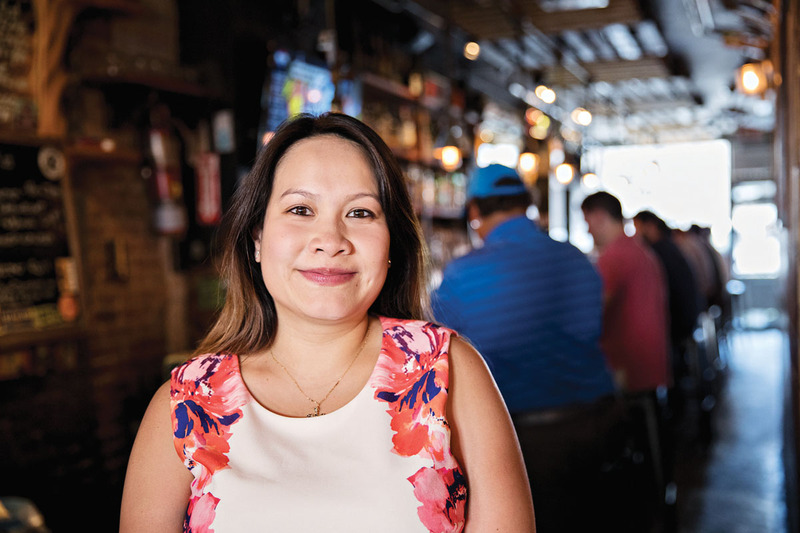 One of the skills of native New Yorkers is discovering locations that “no one seems to know,” like Jeffrey Craft Beer & Bites, says Catherine Nguyen-Martinez ’08. (Shannon Taggart for Rochester Review). 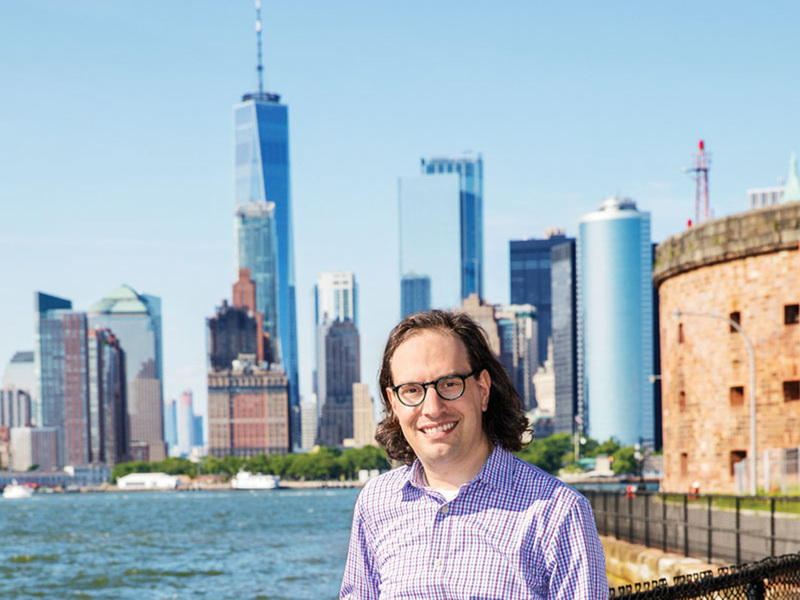 Minutes after the ferry horn blares, Noah Pizmony- Levy Drezner ’00 nods toward his destination, Governors Island, a national monument in the heart of New York Harbor. Cochaired by Noah​ Pizmony-Levy Drezner ’00, Steve Givant ’81, and Catherine Nguyen-Martinez ’08, the Metro New York City Network Leadership Cabinet plans activities and programs for members of the region’s University community. Berger, who grew up near New York City in Westchester County, started her career on Wall Street before transitioning into product development in online trading, banking, and travel. With her husband, Jay, she has owned an executive recruiting company for 25 years. Their son, Alex, is a member of the Class of 2010. A fourth-generation New Yorker, Drezner returned to the city in 2014 as an associate professor of higher education at Teachers College, Columbia University. Raised in Queens, Givant began his career as a corporate lawyer in New York City and now serves as chief financial and legal officer for an aerospace and defense firm based in northern New Jersey. Chanphanitpornkit is orchestra director of Nyack High School and conductor of concert orchestra at Manhattan School of Music Precollege. She’s also a doctoral student at Teachers College, Columbia University. Born in New York City, Graham worked in Manhattan after graduation, before receiving an MBA at Harvard. Today he is a private investor. For more information on regional networks, events, and volunteer opportunities, visit Rochester.edu/alumni/regional-network. Pizmony-Levy Drezner, whose family has been in New York City since the early 1900s, is well suited for pointing out places that have special resonance for locals. The associate professor of higher education is one of about 14,000 Rochester alumni who live in the New York City metropolitan area, a region that includes small parts of New Jersey, Pennsylvania, and Connecticut. He’s also cochair of the Metro New York Network Leadership Cabinet, an organization that helps alumni and other members of the region’s University community stay engaged through activities, programs, and opportunities. It’s one of 11 regional networks—and the second largest—initially identified as part of a strategic effort to build a stronger sense of connection among Rochester’s key constituencies. Over three days, Pizmony-Levy Drezner and other members of the Rochester community enthusiastically offered an insider’s peek at a city captured countless times in songs, books, and movies. And there is plenty to appreciate. Alumni build strong ties to each other and to Rochester through the Metro New York City Network Leadership Cabinet. The organization, made up of volunteers, helps engage fellow graduates through activities, programs, and opportunities. 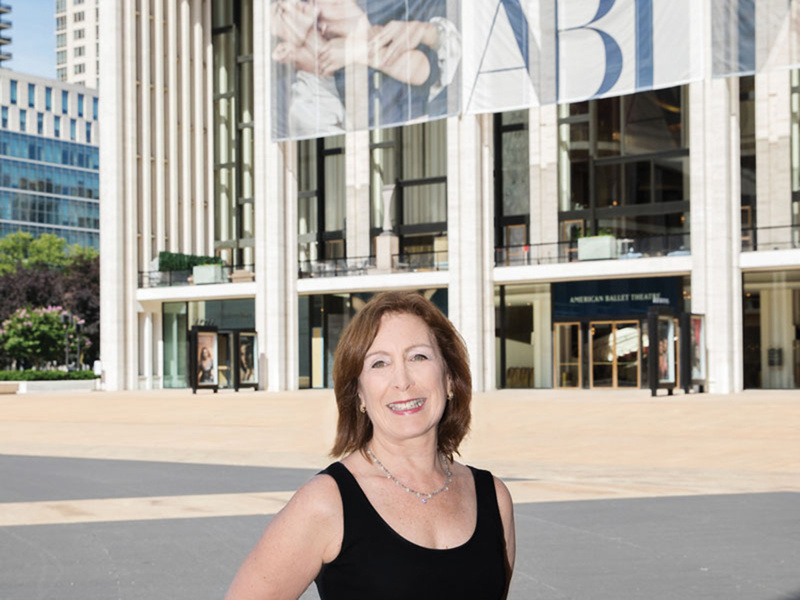 Barbara Grossman Berger ’77 had no expectations before attending her first New York Metro Women event in Manhattan in 2012. “I thought, ‘It’s a few hours of my life,’ ” she says. But those few hours—at a talk by former School of Arts & Sciences Dean Joanna Olmsted on the experience of studying and working as a woman in science, technology, engineering, and math careers—transformed both her relationships with other alumni and her connection to the University. “I met people of all different ages and every imaginable walk of life, and I remembered that it was the people I met that was what I loved about the University of Rochester,” says Grossman Berger, who now cochairs the group, which existed prior to the formation of the Metro New York City Network Leadership Cabinet. Such a network is particularly important in an increasingly impersonal digital age, she says. New York City native and cabinet cochair Noah Pizmony-Levy Drezner ’00 says the University was the first place where someone outside of his family gave him the confidence, and made him feel safe, to be himself. The network gives him the opportunity to have “good, critical, tough conversations” with like-minded people who share a love for their alma mater and want to make it a better place by increasing engagement—a target that he says is being met. “I’m extraordinarily committed to this institution, and I can’t stop giving back,” he says. Involved since its inception, cabinet cochair Stephen Givant ’81 has remained highly committed to share as well, especially with those who may benefit from his expertise. At an on-campus Volunteers in Partnership Conference last spring, she wound up sitting at a table with Pizmony-Levy Drezner, who took her around the room to make introductions. The people she met asked questions, shared stories, and gave her a new perspective on what education means. Graham appreciates the energy and passion younger alumni have for staying connected with the University. They’re reminders that previous classes, including his own, have left behind an important legacy—one of continuity and deep impact. New York City is the perfect backdrop for maintaining that. Institutions showcasing world-class exhibits abound beyond Fifth Avenue’s Museum of Metropolitan Art and Solomon R. Guggenheim Museum. Be transported back in time at this serene Metropolitan Museum of Art outpost celebrating the art, architecture, and gardens of medieval Europe. The world-famous Unicorn Tapestries, seven wall hangings created around 1500, reside here. With marble columns, stone archways, and other architectural details, the Cloisters, overlooking the Hudson River in upper Manhattan’s Fort Tryon Park, feels like a retreat. “It’s just so peaceful,” says Stephen Givant ’81, “and the gardens take your breath away.” The museum offers tours, concerts, exhibitions, and a gift shop. “Everything is colorful and relatable” at the country’s premier collection of work by self-taught folk artists, says Barbara Grossman Berger ’77, who likes that she can wander through the entire museum without losing the whole afternoon. “You can see the influence of people’s cultures, not of a place where they were trained, on their work.” The museum’s collection includes more than 7,000 artworks dating from the 18th century to the present. Admission is free. Also at no cost: Free Music Fridays, thematic concerts that reflect the spirit of the art on view. No matter your taste, there’s a creative expression in this melting pot that will cater to it. This cultural destination is home to more than 600 music, dance, comedy, theater, film, and literary events each year. “It’s off the beaten path, easily accessible, and relatively inexpensive,” Givant says. Visitors can attend a taping of “Selected Shorts,” a public radio show and podcast, as well as annual music marathons and the annual “Bloomsday on Broadway” celebration of James Joyce’s Ulysses. Press a discreet buzzer for entrance into this cramped, dark, and shadowy Japanese whisky bar and music club with a speakeasy vibe. Without a stage, musicians play atop tables and among the listeners. “Think of everything that the Four Seasons does to coddle its clientele—then reverse it,” says Tony Graham ’81, who visits to hear good jazz and have rice balls and sake. “It’s a statement for the suited crowd to make that they can shrug off their corporate existence and relax in anonymous eccentricity.” Super Happy Hour, including food discounts and 40 percent off all glass drinks, runs from 5:30 to 7:30 p.m., Sunday to Friday. In every season there’s something special about being in this urban oasis designed by Frederick Law Olmsted, the famed landscape architect who was also responsible for Rochester’s Genesee Valley, Highland, Seneca, and Maplewood parks. Graham likes to meander through the 38 acres of winding pathways known as the Ramble because it reminds him of upstate New York hiking trails. “It’s a great place to go for self-reflection and to feel completely renewed,” he says. Located between 73rd and 78th streets, the spot was dubbed a “wild garden” by Olmsted and is home to some 230 bird species. An original feature of the park, the site—where Martin Luther King Jr. delivered a speech and John Lennon’s eulogy was read—draws music fans to the oldest continuous free outdoor western classical music concert series in the world. Concerts are “achingly beautiful” in a setting where birds and nature “add to the music,” says Chanphanitpornkit. Gain a different perspective on the buildings, people, and other scenery that make New York City vibrant. From this 172-acre vantage point, the majesty and strength of the city are undeniable. “You see the power of the financial district, the importance of the shipping and oil industries, the beauty of the Brooklyn Bridge, and a reminder of our promise of liberty and history as an immigrant nation in the Statue of Liberty and Ellis Island,” says Pizmony-Levy Drezner, adding that the island is the best place from land for front views of the Statue of Liberty. “It is inspiring.” Admission to the island is free for New York City residents. The Whitney Museum of American Art’s indoor/outdoor eighth-floor eatery provides sweeping views of the city and Hudson River. The Empire State Building towers to the east, the World Trade Center complex is in the distance to the south, “and just to the north,” says Pizmony-Levy Drezner, who takes in the view over wine with friends, “you can people-watch as visitors and city dwellers snake through the trees and trails of the High Line,” a popular park on a historic, elevated railroad line. With no shortage of places to nosh, New York City can take your taste buds on a trip around the world without leaving the border. You may have to elbow your way up to one of the 35 vendors at this indoor food hall in the southern end of the Chelsea neighborhood. But “sometimes you’ve got to work through crowds for some of the best things in New York,” says Pizmony-Levy Drezner, who visits the Dizengoff stand for hummus, shakshouka, and other Israeli classics. The food mecca—in the old Nabisco factory where Oreos were invented—also serves up Italian imported goods, local and humanely raised meats, chocolate fudge milkshakes, and more. This self-proclaimed dark-and-cozy neighborhood joint under the Queensboro Bridge is unassuming but has built a reputation among locals for its morning-to-night offerings. Nguyen-Martinez comes early for the espresso bar and late for a rotating menu of 30 hard-to-find international and local brews. “Every time I come I try something different,” she says. “And it’s not a typical modern bar. It has charm. I like that no one seems to know where it is.” Food arrives on artificial newsprint-lined metal trays. Insider tip: order a sandwich between 11 a.m. and 3 p.m. and a beer or well drink from a selected menu is on the house. “Everything today is so over the top, but this place is just old-fashioned fun,” Grossman Berger says of the charming parlor, which makes homemade, small-batch ice cream in a nut-free, sesame-free, and egg-free factory. That doesn’t mean flavors stick only to classic chocolate and vanilla. Options include “Partly Cloudy,” blue cotton-candy-flavored ice cream with miniature marshmallows. If you think it would be easy to find great books in a city home to the New York Times Book Review, you are correct. Roughly the size of a double-wide trailer, Unoppressive Non-Imperialist Bargain Books is as quirky as its name. Titles line only two aisles, come from wholesalers, cost less than half the retail price, and reflect the taste of political activist owner Jim Drougas. “It’s a tiny little hole in the wall in the West Village with used books and weird titles, and it has stayed there even though the neighborhood has become more exclusive,” Givant says. 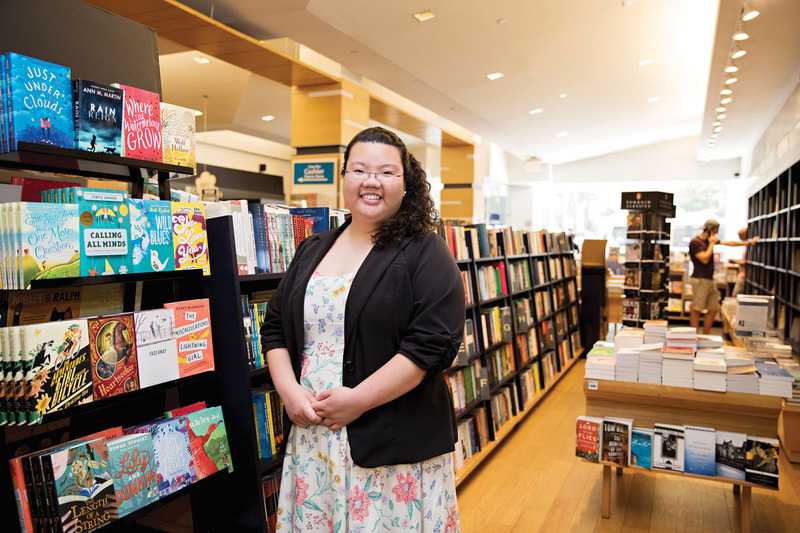 “One of the coolest things about this city is the cultural unification, and this bookstore is the epitome of it,” Chanphanitpornkit says of Kinokuniya as she walks past rows of manga, a cookbook dedicated to rice ball recipes, and a craft kit for make-your-own origami sumo wrestlers. Across the street from Bryant Park, the three-story bookstore offers some 20,000 titles in both English and Japanese. In addition to CDs, DVDs, and toys, there’s a cafe that sells sushi, bubble tea, and mochi doughnuts, and a store on the lowest level that sells handmade crafts from Japan. Manhattan gets most of the attention, but equally deserving destinations await a short subway ride away. Pizmony-Levy Drezner and Nguyen-Martinez both recommend a visit to the 250-acre New York Botanical Garden, a national historic landmark with more than one million living plants. For Pizmony-Levy Drezner, the lilac section reminds him of Highland Park’s Lilac Festival. Nguyen-Martinez appreciates the specialty orchids and flowers, particularly “the Japanese blossoms when they’re in season.” A world leader in plant research and conservation, the garden has both indoor and outdoor displays. What better place to celebrate the history of the city’s mass transportation system than in a decommissioned subway station from the 1930s? Pizmony-Levy Drezner enjoys visiting the museum’s vintage fleet of 20 subway and elevated cars dating back to 1907. “You’re allowed to sit in them, and they have ads from the time period they’re from,” he says. “It’s really well done and engaging for both kids and adults.” Permanent exhibits include archival documents, video footage, and photography. Robin L. Flanigan is a freelance writer based in Rochester.